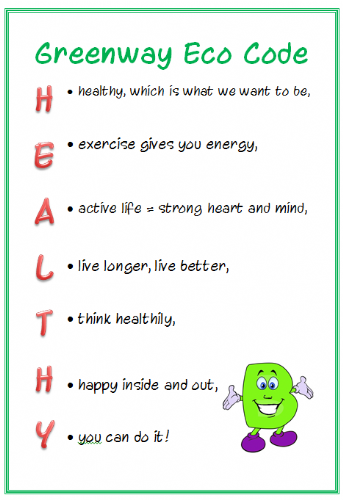 Tuesday 14th - Friday 17th June was our "Eco Week". Every class participated in a range of Eco activities. We had great fun planting potatoes, onions, strawberries and flowers. We learned that plants need water and sunlight to be healthy. Our outside area is looking wonderful. We filled in the old pond with natural matter found around the outside area. Then we covered it with compost from our composters & some bought from a garden centre. We want to attract pollinators such as bees. We applied for a grant and were given £100 by the Natural Buzz scheme to buy bee friendly plants. Watch this space for updates. Click HERE for more information on the Natural Buzz scheme. Here we are sewing the seeds and watering the ground. We talked about ways we can save water. We worked as a group to think of all the ways we use water and how we can also save water. We had homework to find out how much water we use through a Water Diary. - Having a shower uses less water than a bath. Year 4 looked at water, its uses and how to conserve water. · We completed ‘Water Diaries’ at home and brought them back to school the following week. · We know how to save water at home and school and why it is better for the environment to take a shower instead of a bath. · We also looked at how water is used in Africa and learned about Water Aid and the important job it plays in countries which have no fresh source of water. · We also completed a ‘Toothbrush’ challenge; by the end of the week, we ALL remembered not leave the tap running whilst we brush our teeth. · We all designed posters, reminding everyone to save water in our homes and not waste this very valuable and precious commodity. Mrs Anderson's class did a litter pick around the school grounds & analysed the results. They also planted up some flowers to make our environment more beautiful and to attract bees. Firstly Year 6 completed a learning walk around the community, looking at features of popular routes to school. One of our concerns was the amount of cars around our school during peak times. We looked in to ways of reducing cars by promoting walking - however, after completing a survey we found that many parents were concerned for their child's safety. We noticed that the roads around our school are in desperate need of more zebra crossings as children's safety is paramount. This resulted in Year 6 writing formal letters to Cardiff City Council explaining our issue. The children completed map work, plotting where children in the class live. Some children who walk live next door to children who drive -These have now agreed to walk to school together. Another couple of children live extremely close to each other and take two cars - This has been reduced to one by sharing lifts. We have achieved our 2nd Green Flag award! Congratulations & well done everyone! 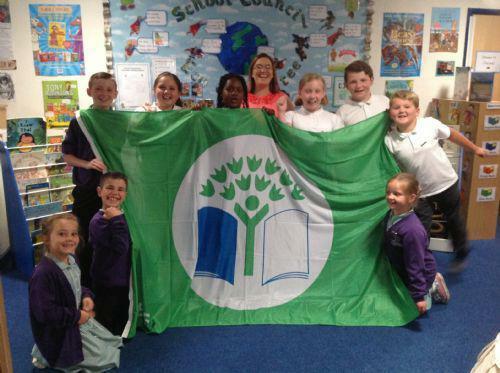 Congratulations to the Eco Committee and all the boys and girls in Greenway who have contributed to us being awarded the prestigious Green Flag award. We were presented with the flag at Cardiff's One World event, Cardiff Bay, Friday 14th June.